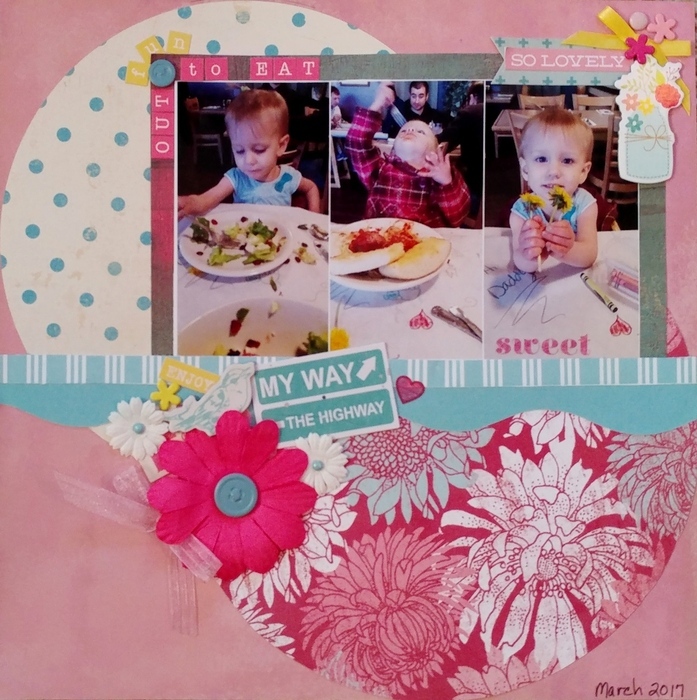 January Pattern Paper challenge Winners!! These have been some fabulous pages, using up lots of patterned paper both wintry, bluetiful, and regular! #202 Art_Teacher ! Please PM me your addresses! 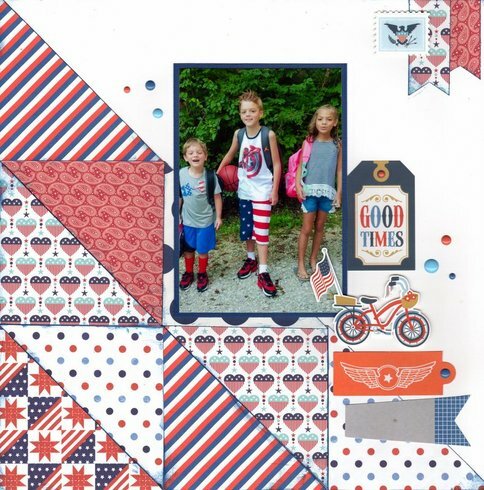 Cut down your full sheets, pull out your old pads, use up your scraps, use up the border strips from the bottom of most sheets... whatever you want, as long as you use at least 5 different patterned papers on your project. Bonus entries for each count of 5 different patterned papers you use - 2 entries for 10, 3 entries for 15 etc. Winner will be randomly chosen for a $5 ACOT gift certificate from me, and an RAK will be sent if there are more than 15 individuals who enter. 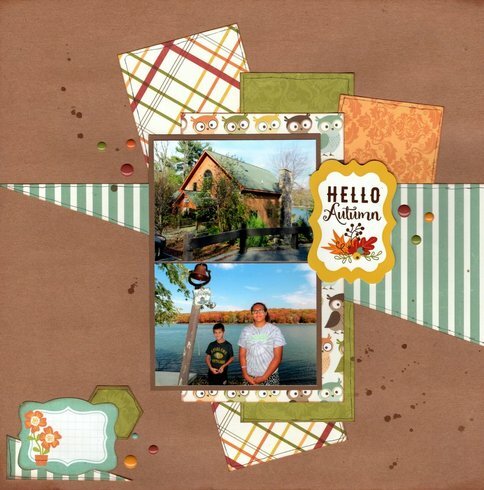 Open to any NEW project you want to do this month using lots of patterned papers. If you've got over 5, please list all the patterns and point out any bonus papers sometimes it is hard to see them on my screen, and I will only count 1 entry if you haven't listed them. Combine with any other challenge that allows it, just let me know which one. No limit to how many entries, the whole idea is to get scrapping and use up lots of paper so you can buy more of course! Due midnight the last day of the month. Upload to this thread, there is no gallery. - Please pm me if any other questions, so they don/t get lost in the thread. 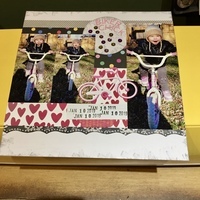 Last edited by sweetsour on Fri Feb 01, 2019 8:05 pm, edited 5 times in total. Love this! I have lots of Wintery papers I need to be using! Great challenge! Love being able to use up the myriad of patterned papers I have in my stash! 5 PPs - 4 across the base and the 5th is the matting under the photos. Actually, the red in the center bauble was punched from a piece red pattern. Also entering in the "Use Your Stash" challenge. Here's one using 5 Patterned Papers. 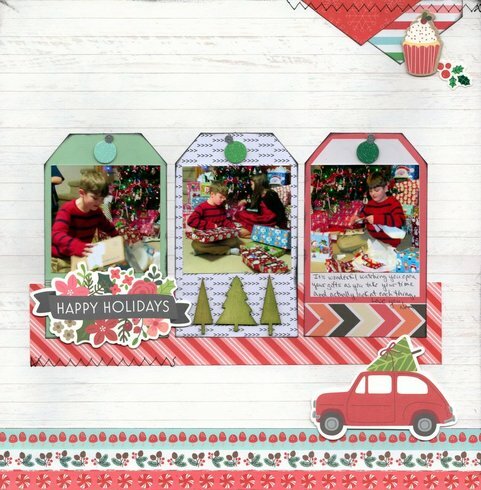 Here's another using 5 Patterned Papers and for the Bonus I used a Wintery line 'Simple Stories Sub Zero'. 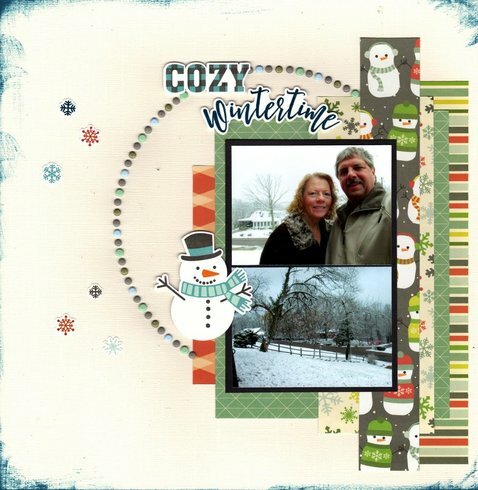 Photos of DH and I along with the snowfall on December 5th. 5. Figgy Pudding, blue damask + snowflake under photo. So, one entry for 5 PP’s, and 5 for the winter pattern papers. Even the photo is frosty ! 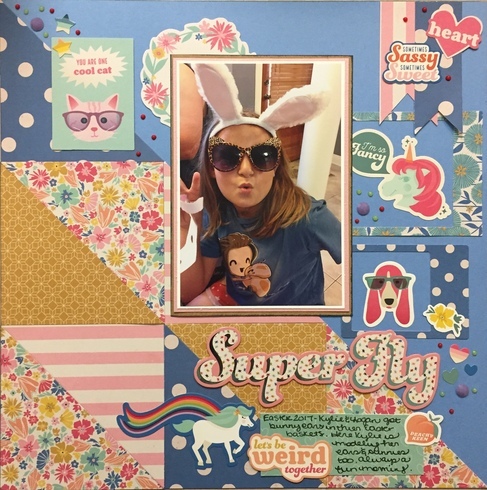 Also entered in Use Your Stash Challenge of blue & blingy ! I've got five patterns: four in the border strips on the left, and one in the top right corner where the background paper is folded down. Here is one from me - combined with Manufacturer challenge - 6 pps. 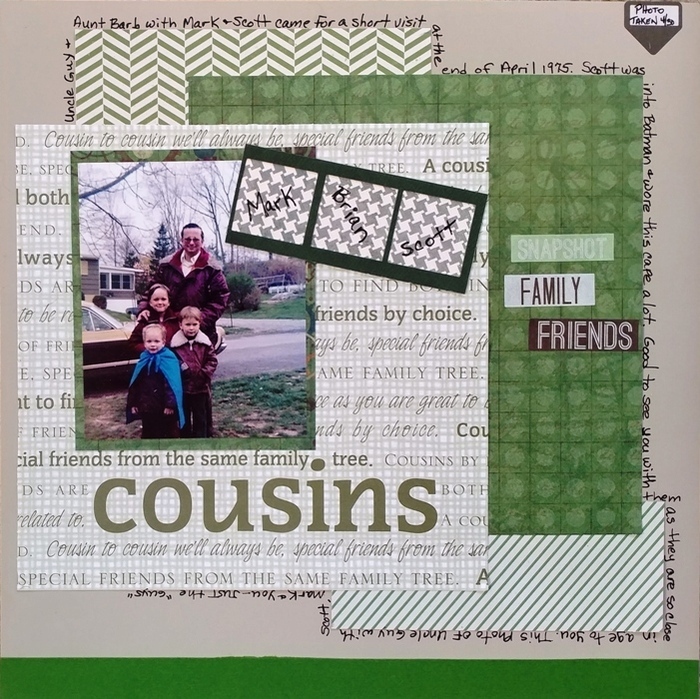 Used some scraps - MME (green diagonal strips, green chevron-like, grey houndstooth), HOTP (green squares), Masterpiece Studios (cousins), green film strip (carta bella). Stickers - Teresa Collins. 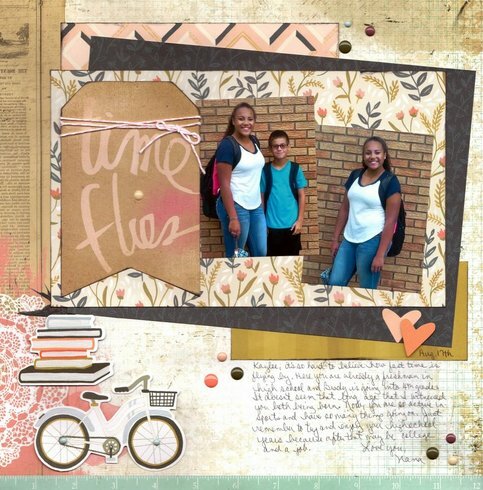 I made the film strip using a square punch. 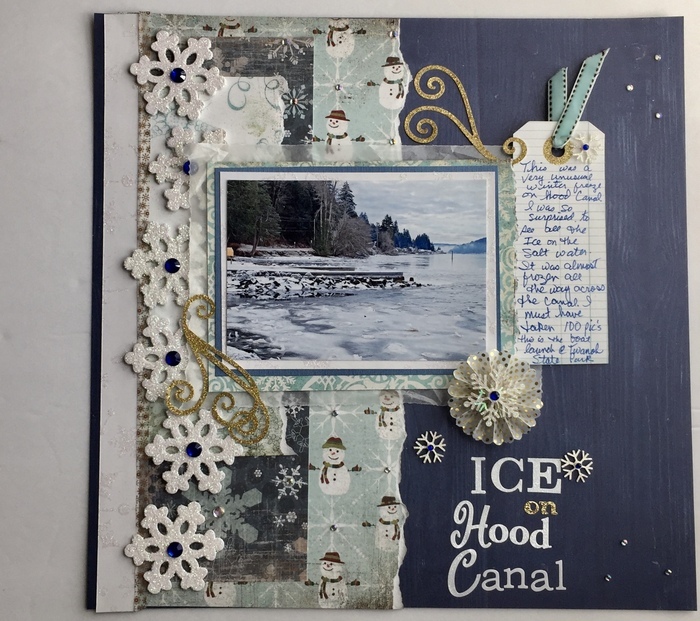 Here's another using 6 patterned papers and for the Bonus they are Winter themed. Photo of sweet little granddaughter Lucy licking her huge snowball, January 2018. Oh this is a wonderful challenge!!! 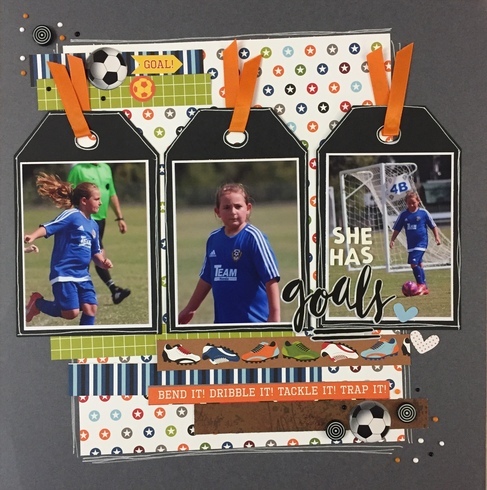 Here's another using 5 Patterned Papers. Catching up on these photos of grandkids Kaylee and Brady on their first day back to school, August 2016. Here's another, Karrie! 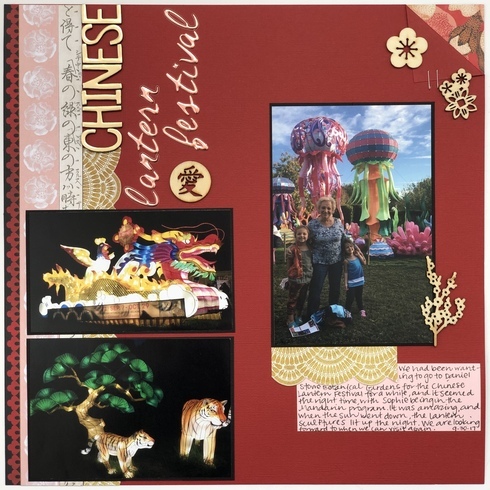 I used 6 Patterned Papers. Photo of grandkids Kellan, Marcus, and Lucy ready for Patriotic Day at school, August 2016. Here's another! I used 7 patterned papers. Photos of sweet little grandson Kellan opening his Christmas Gifts, Dec. 2018. I used six patterned papers out of an Authentique "Alpine" paper pad...and a random silver paper from a Recollections paper pad (snowflake punches). I'm also entered this in the sketch challenge. No wintery pp's on this one, but I did use 5 different papers.